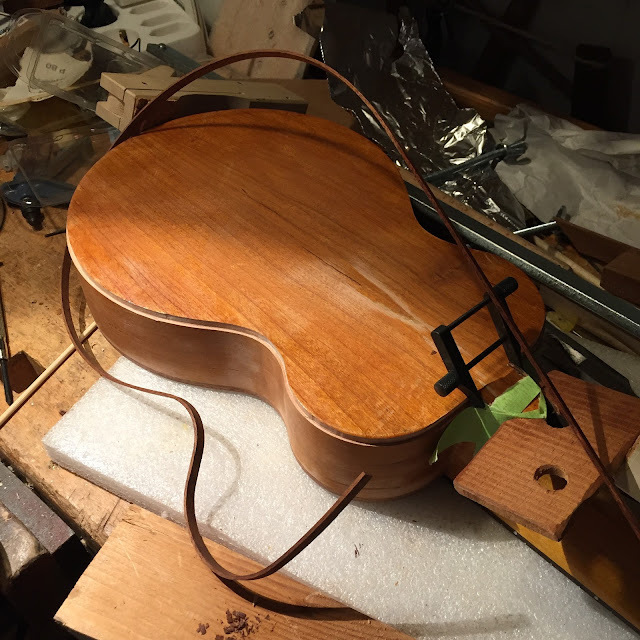 The neck's back on, back plate and binding is in place. 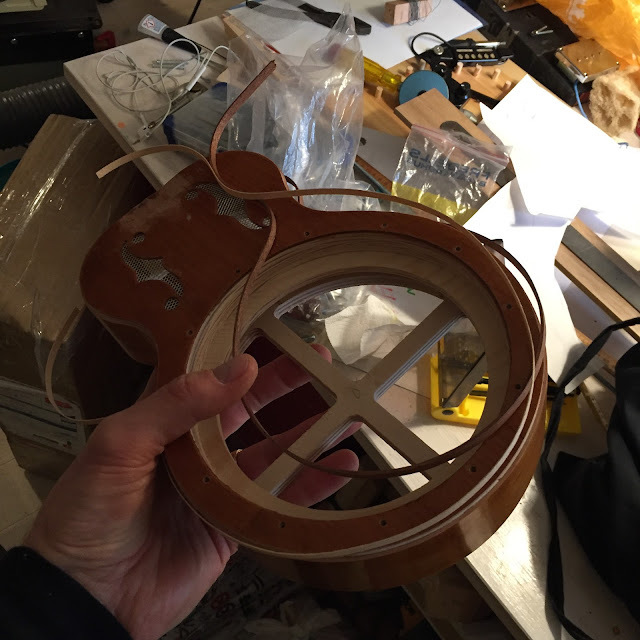 Time to partially re-finish the poor uke. For some reason the shellac goes on beautifully, better than usual. Which is a welcome break. 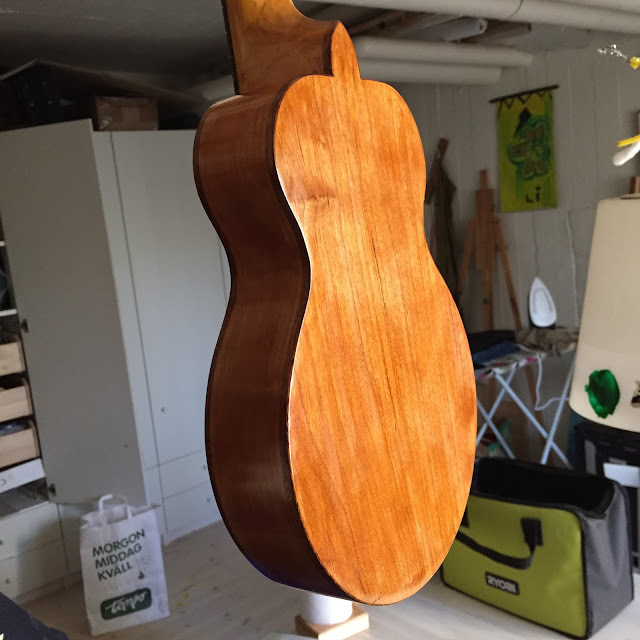 The mahogany binding goes pop! 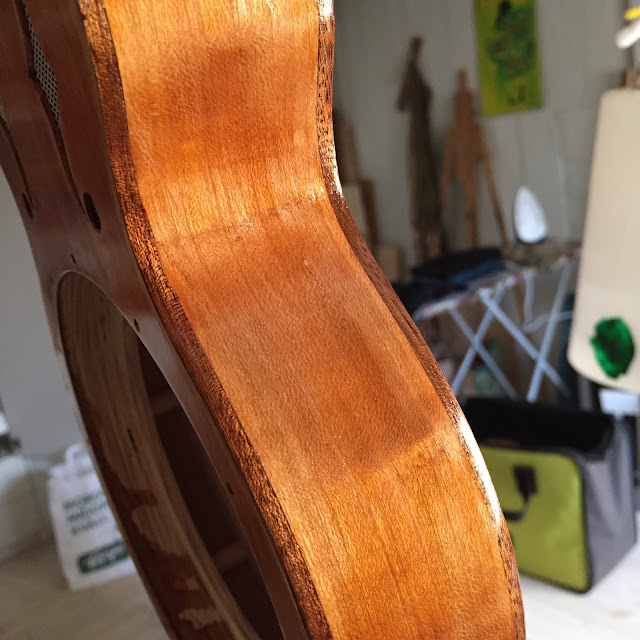 under the first coats. 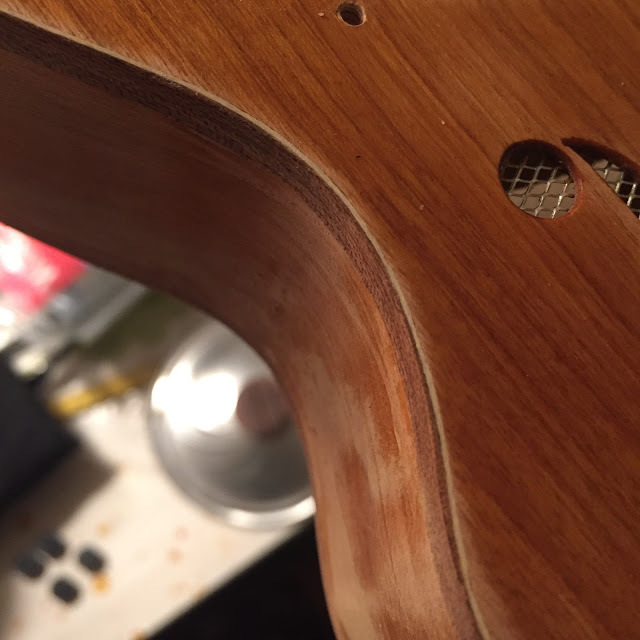 Front edge binding with a very subtle maple line inside the mahogany. It's 0.5 mm I think. A bit more visible in real life, and it does look good. I bound the front edge, then took a deep breath and attached the neck. It went on straight. 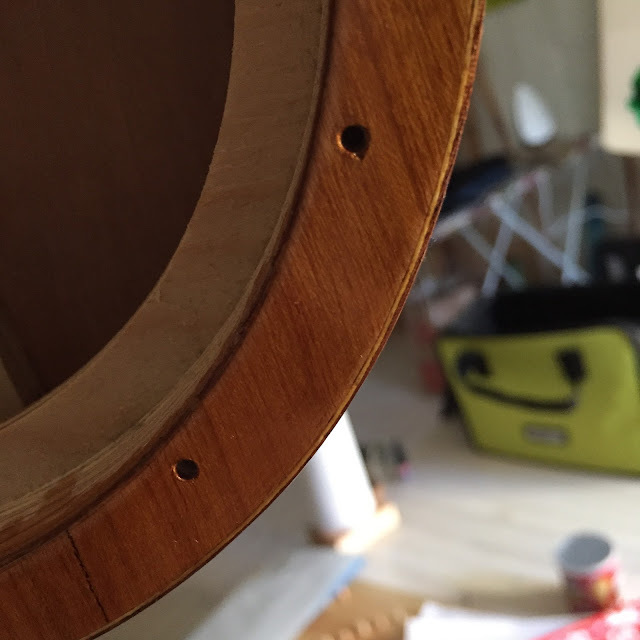 Then I glued the back back on and routed a rebate for the binding. Around the heel I had to make the rebate with a chisel, as the router wouldn't fit. The first two pieces went on with some careful taping and a wee clamp. 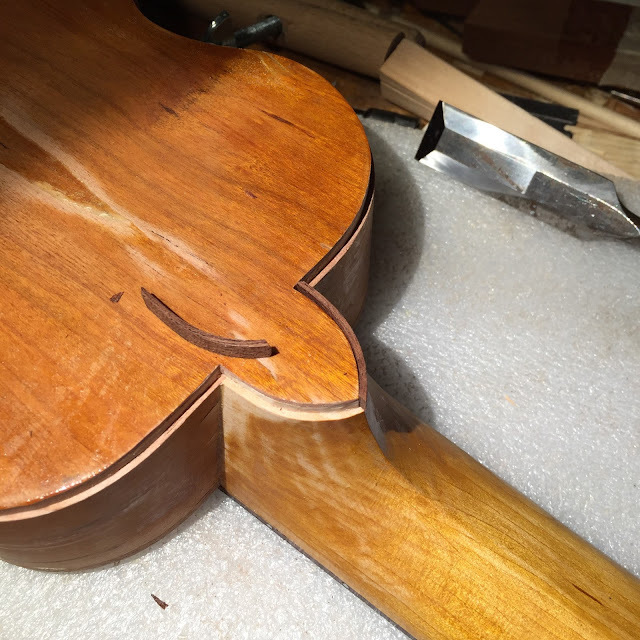 As the glue dried I bent the rest of the binding. Here's a pic of the front, with maple and mahogany. And the back, with only mahogany. Time to mix some shellac! 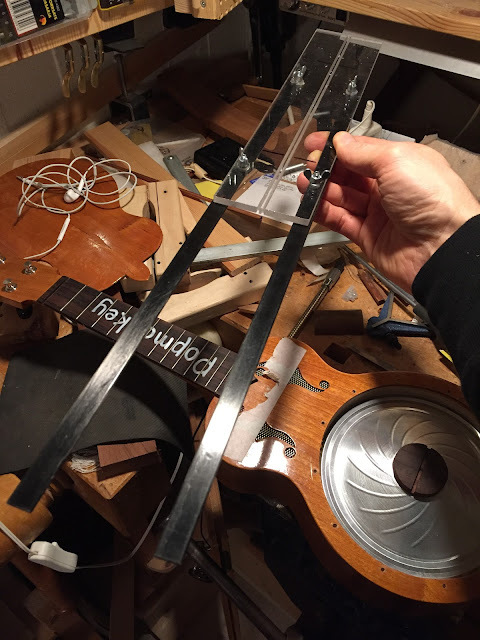 To properly check the neck before re-attaching it, I made a jig of perspex and carbon fibre rods. 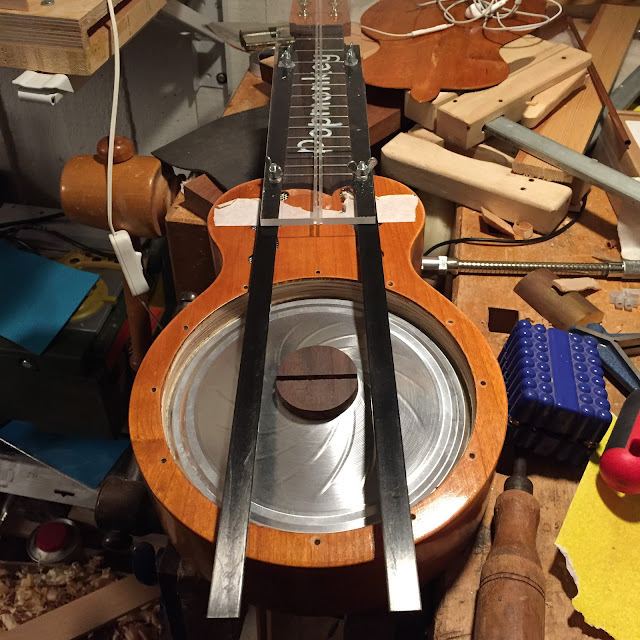 The slots make a centre line and the rods slide up against the edges of the fretboard. I love one piece tops but sometimes miss the centre line you get on bookmatched ones. Anyway this is looking better and better. When I glue the back back on it will be nigh impossible to get it perfectly aligned around the edges. So I can either make a new back or use the old one and bind it. I'll bind it. But I can't have binding around the back without adding it to the front as well, and the front goes first before the neck goes on. 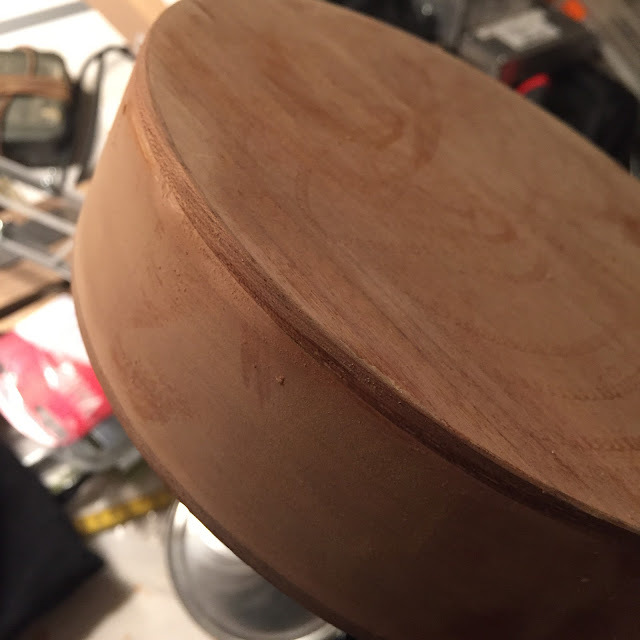 I'll use maple and mahogany on the front and maybe just mahogany for the back. The works progresses with less stress as I get into it. I feel a bit more in control but I do look forward to finishing this.